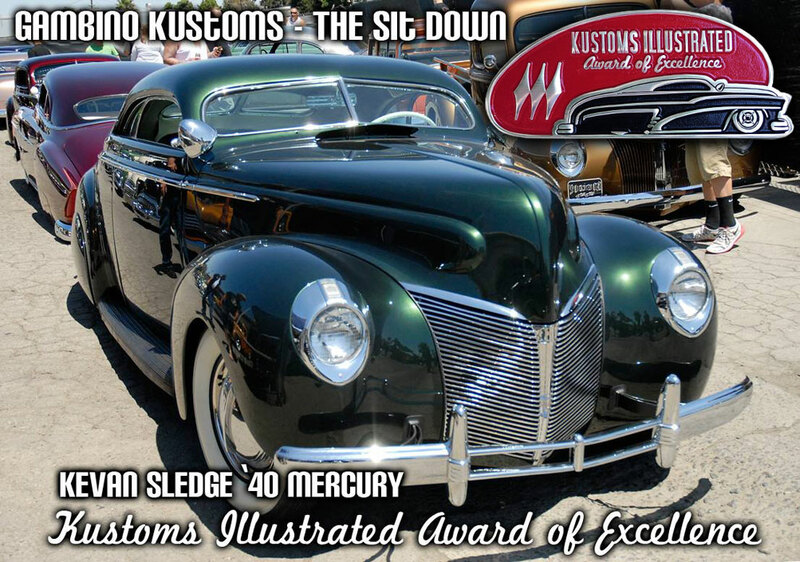 the Kustoms Illustrated Award of Excellence goes to Kevan Sledge’s ’40 Mercury at The Sit Down show. 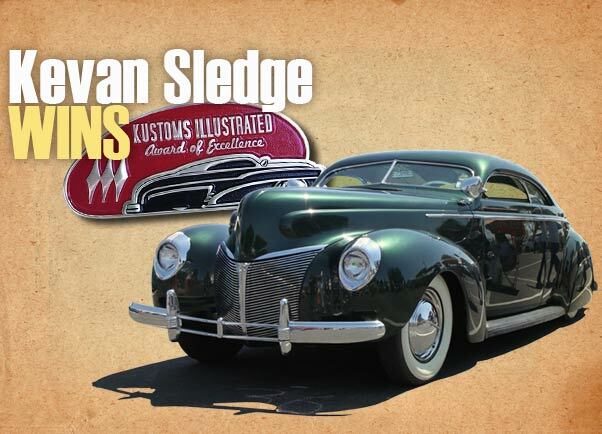 It was an honor to bestow the Kustoms Illustrated “Award of Excellence” to Kevan Sledge’s period perfect 1940 Mercury at this year’s Gambino Kustoms THE SIT DOWN. Kevan’s Merc is truly one of the finest early customs built in modern times. The fit and finish was astounding and the overall execution capture the true essence of a traditional early custom car. 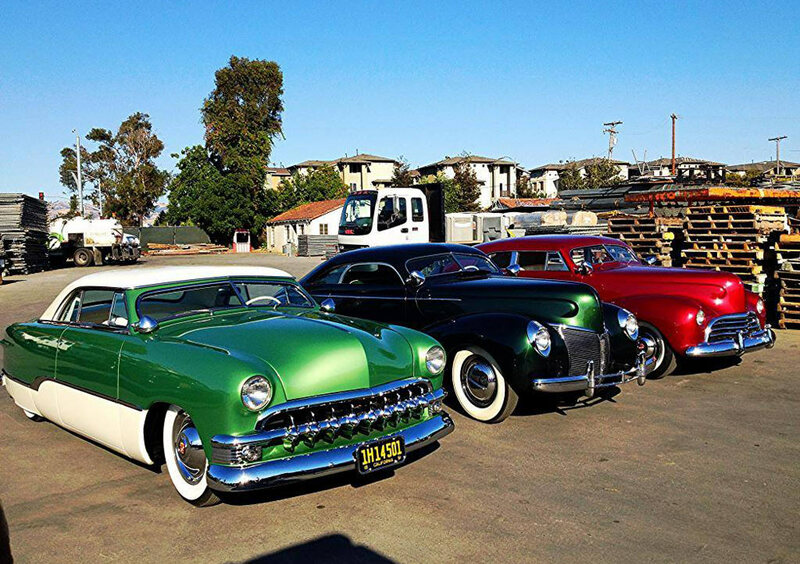 The one-and-only 100% Kustom Car Magazine Kustoms Illustrated is celebrating its ten year anniversary with introduction of the Kustoms Illustrated Award of Excellence. A few times a year the magazine editor Luke Karosi will be awarding the best-of-the-best Custom Car with this new prestigious award. 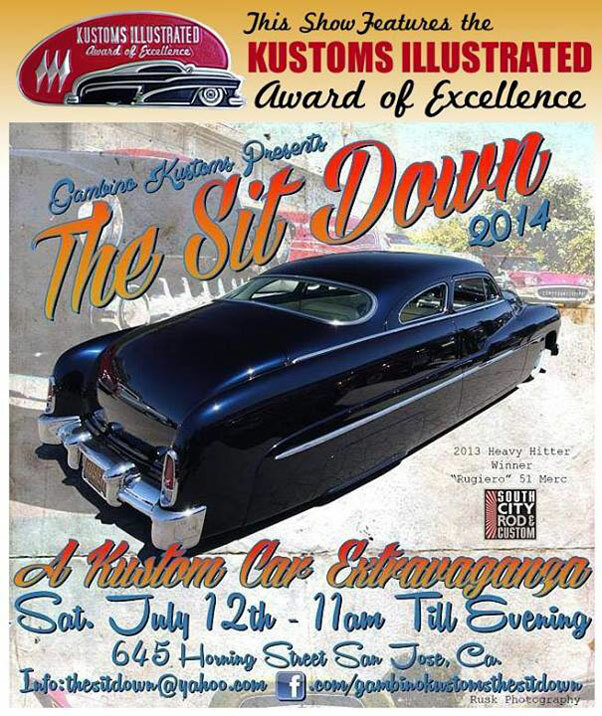 The award will be given out at a few designated Custom Car Shows a year, including the West Coast Kustoms Santa Maria show, and the Gambino Sit Down. 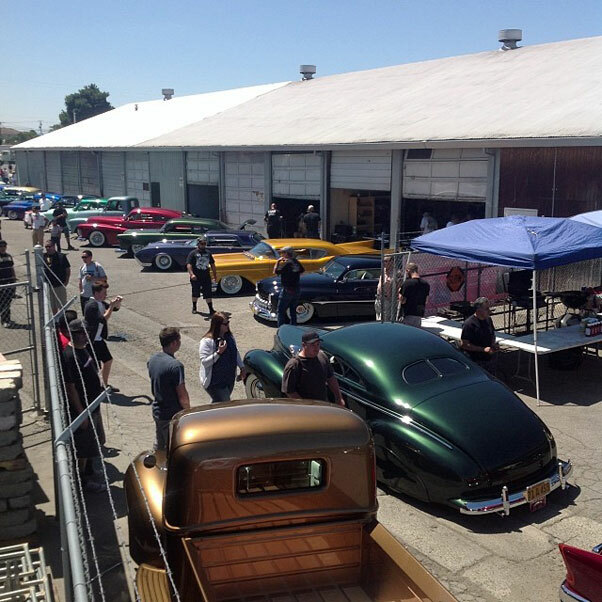 From time to time well know Custom Car people will help with the judging of the award winner. 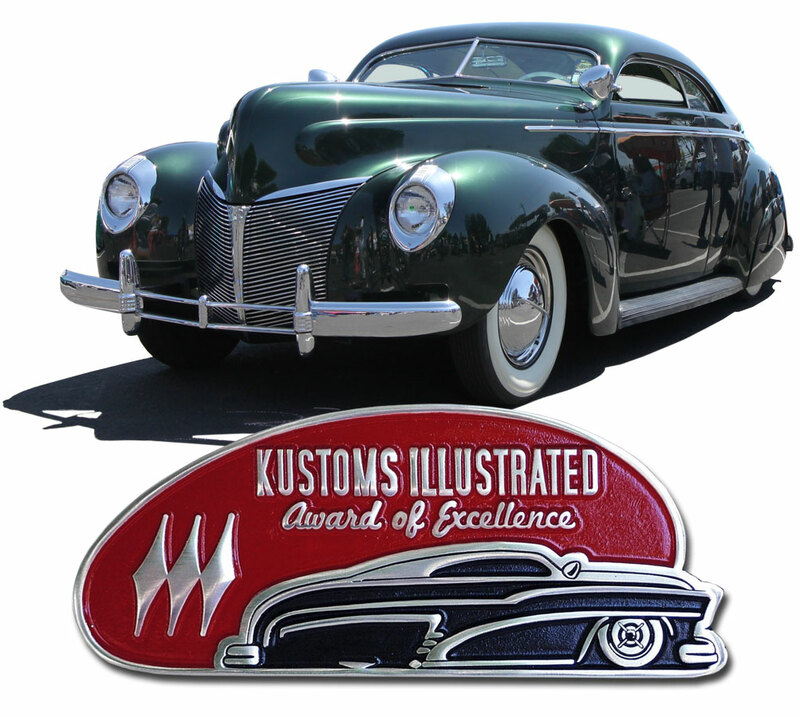 Besides winning the Aluminum plaque trophy the winning Custom will also get a full feature in Kustoms Illustrated magazine as part of this Award of Excellence. This years Gambino The Sit Down show was possibly the best ever with a huge amount of really amazing Custom Cars, making winning the award even more special. Below are two photos showing just a small selection of the great cars at the show. Congratulations winning the Award of Excellence Kevan Sledge. Congrats Kevin. Such a beautiful car that has been built with a great eye and a passion for details. The pics of this years show have been driving me wild! Kevan’s Mercury is absolutely stunning in every detail. The color, the interior, the engine – everything is traditional and expertly executed. More people should strive for this level of quality and accuracy when they build a traditional custom.